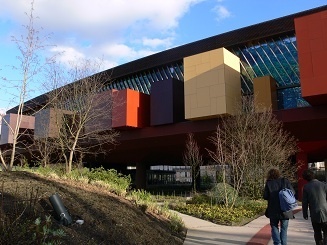 The Musée du Quai Branly known in English as the Quai Branly Museum and nicknamed MQB, is a museum in Paris, France that features indigenous art, cultures and civilizations from Africa, Asia, Oceania, and the Americas. 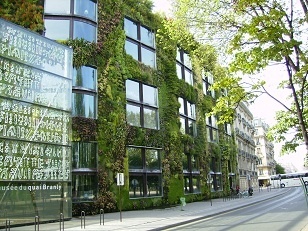 Situated close to the Eiffel Tower, the museum is located at 37, Quai Branly – Portail Debilly in Paris. The location and the museum are named for the physicist Édouard Branly. The museum complex encompasses several buildings, as well as a multimedia library and a garden. It is open 6 days a week with occasional evening hours. The museum’s valuable collection is watched over by security officers, who utilize many sets of keys as part of their jobs. Approximately 1000 keys needed to be kept secure and accessible 24/7; most of these keys give access to rooms in several buildings where valuable objects are displayed. To select a vendor, the museum wrote a competitive bidding process that included security and management reporting and the use of differing key management systems for keys depending on the level of priority. KeyWatcher key control system helps guard against stolen or misplaced keys by only releasing assigned keys to users with the proper authorization code. When a key is missing or overdue, an alarm alerts the security personnel of the situation. Simple and elegant in design, the wall-mounted key storage cabinet eliminates outdated lock boxes, unreliable manual logs and messy key identification tags. KeyWatcher records the access history of each key, including user, date and time of checkout/ return. The museum installed Morse Watchmans KeyWatcher for the high level priority keys (safe, ticketing) and Morse Watchmans KeyBank for less sensitive keys (duplicate keys). The software generates a report which provides accurate and detailed information, such as which employees accessed which keys, who has taken out any given key and how long each key was out.